Is It Really Worth Bothering? Are you wondering whether to use Twitter to grow your personal brand? I am going to share a few reasons why you should be promoting your brand there. BTW, now that Twitter allows tweets of 280 words, it makes it even easier to get your brand message across. The number of Twitter users has steadily risen to 330 million (Dec 2017). Over 70% of companies are on Twitter so it is very likely that your competition is there. Wouldn’t you like to get a piece of that pie. It’s become even easier to get in front of your targeted audience there. There are a number of simple steps you can take to get leads on Twitter. Always keep in mind your end goal for growing your brand on Twitter. For most people that will be building your list, getting leads and ultimately making an income with your brand. One of my mentors has built a 7 figure business by using Twitter to grow his brand. So it definitely works if you are prepared to take the time to set it up properly. The first things that most people will look at is your photo and your bio. Get a professional headshot to add to your Twitter page and make sure that you are smiling. You need to put some thought into creating a bio that lets your audience see who you are and what you have to offer at a glance. Just as in life it only takes a few seconds to create an impression, so it is with your Twitter account. This is where you can make the most impact in the shortest time on your potential followers and buyers. You can create a Twitter header on canva.com with your social media links. At a later stage you may decide to use a graphic designer, but in the meantime just get started. The colors and fonts and design of your header combined with your bio will give people a really great first impression of who you are and of course you are your brand. You can add links to your social media accounts to make it even more effective. Your brand is always evolving and hopefully improving so you don’t have to stick with your original header. Keep testing the colors, fonts, background and above all your tag line and the message in your bio. You can use the link in your bio to send people to your website if your website has a Facebook Pixel. It is better to send them to an opt in page that leads them to a giveaway. Remember that this giveaway is probably going to be your target audience’s first impression of your content. So make sure that it provides value and showcases your brand in the best possible light. Keep checking your stats in Twitter Analytics and you will be surprised at how many more profile visits you get when you up your game. You can upload photos, images, gifs, videos and even do live streaming on Twitter – yes so many ways to get your brand noticed on this platform. There’s no doubt that the Twitter platform is a great place for promoting your business and as well as your brand. Having a personal brand is no longer an option You need to be thinking about your brand from the moment you open your eyes each morning. You are your brand and there are two versions on that – the online one and the experience which people can only get when they meet you in person. Use the Twitter platform to get as close to showcasing your authentic self as possible. That is the best kind of personal branding. 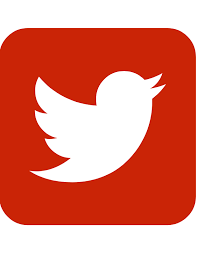 Use Twitter to promote your business and your brand and you will not be disappointed. Build your brand identity and share your skills and knowledge one tweet at a time. Build your brand identity by giving people what they need and want – never lose sight of this! There are many trainings to get more followers on Twitter. I can recommend a free training that takes some time to set up and if you have the patience to do that, then you can get many eyeballs on your brand on a consistent basis. For this strategy to work you need to create at least 400 tweets and schedule them to go out at a rate of at least 4 per day. The Ninja Secret to this is in the percentages of each type of tweet that you post. It is an exact science that has been tested and retested to create a proven formula to promote your own brand on Twitter (whatever type of business or passion that your brand promotes). If you would like to find out more about building your brand on Twitter, from someone who generates more than 100 free leads per day on Twitter, then if you would like a free Twitter training that will help you to set up your Twitter Branding Machine. Truth is that I haven’t put much effort into Twitter. It is a platform I mostly post my posts and pages and then leave. I usually engage in Facebook and Instagram. I guess I should start viewing Twitter differently. I always acknowledged the professional aspect of Twitter. I see political leaders posting on Twitter. But I have to put in the effort I guess. Very useful tips about using Twitter effectively. Personally i haven’t done very good on Twitter so far. I will definitely try the method you mentioned and the Ninja secret. I had not thought using questions for surveys purposes before. That’s a great tip. Very interesting post. Lots of great information. Great article, I have not used twitter in the past because I was never sure how I could use it for building my brand. You have given me some great ideas that I will start implementing. One of the main things I took from reading your article was to be organized in my approach to twitter. Being able to “pre-load” Tweets and schedule them to go out automatically at predetermined times seem like a great idea. One thing I was wondering about was if there was a way to network with others on twitter in order to cross promote each others products or services? How would you go about doing something like that? Thank you for the kind comment David. I was cross-promoting a couple of my Twitter accounts but they changed their rules recently and I haven’t checked out whether that is still viable. In the meantime if you go to my hilarybassak Twitter account you will find a post at the top of it (a pinned post) with a free Twitter training which I think you will find helpful. I use twitter but not nearly effectively as I could. 4 tweets a day is definitely not in my schedule. Once a day if your lucky. I have learnt a few tips and tricks from this post and am now going to head over to my bio. I will also be taking a look at that free course to see if I can up my Twitter game. Hello Karen, I am sure you will get a lot more tips from the free course. To set up the Twitter Lead Machine takes quite a lot of work but it’s worth it if you persevere.